See how high you can stack the colorful tower before it comes tumbling down. 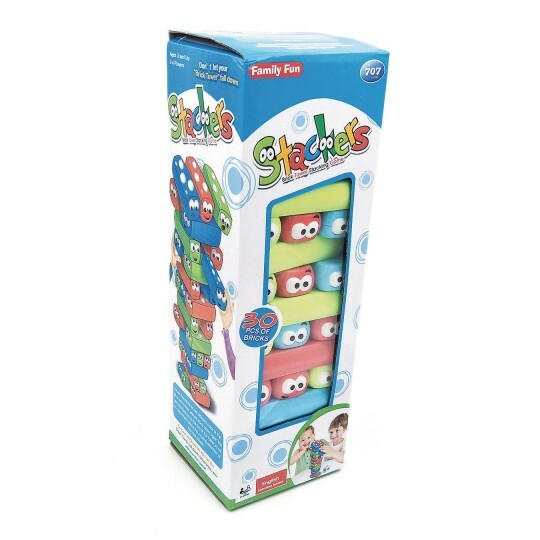 Includes 30 plastic (3-3/4” x 1-1/4” x 3/4”) blocks, 10 each in red, blue and green, 1 dice, and instructions. 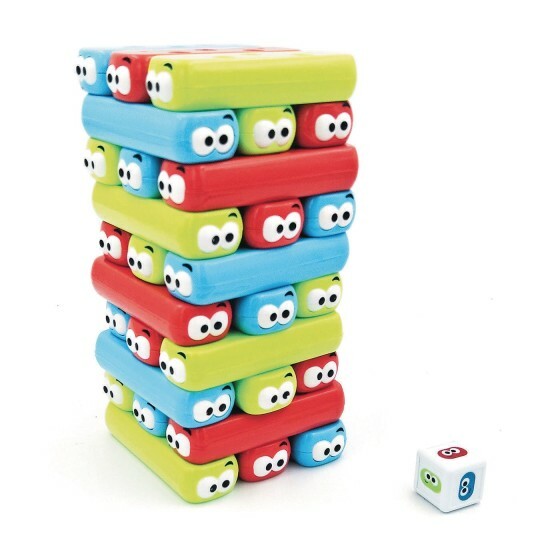 Play the classic way or roll the dice to determine which color block must be removed from the lower and stacked on top. 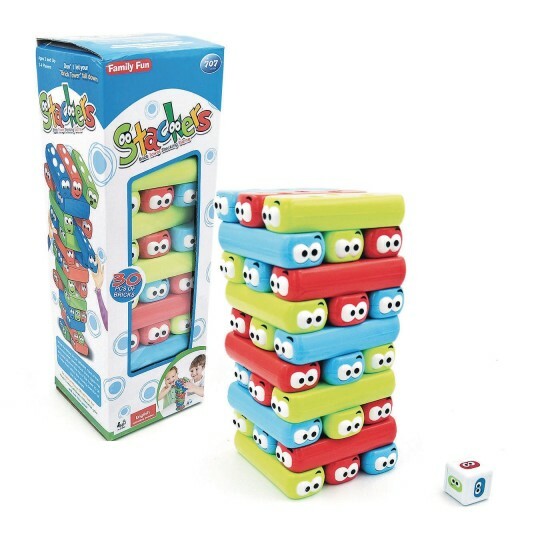 For 2 to 4 players, ages 3 and up.